I told you guys this post was full of color. And I'm not going to lie ― I'm sort of having a hard time selecting a favorite at this point. What about you? Any of these shades catching your eye? I guess for me it's definitely a toss up between the first one and the last one. There's something decidedly chic about these two. And I really love the variation of colors. And what I'm really loving about these is that you can easily use these for everything from wedding inspiration to home decor inspiration! So versatile and I'm loving that so many of the ideas featured are super simple to DIY! 24 Comments " 8 Color Inspiring Centerpiece Ideas - Bright + Beautiful "
Color overload - love it! So hard to choose a favorite! Gorgeous, gorgeous, gorgeous! I'm trying to pin down a favorite but they're all too lovely!! Oh so pretty! Love the second one with the gold container. So many gorgeous options! Love all the color. I love how you can pick out and pull out the colors from each of these arrangements to make a perfect wedding palette! Love them all but the blue and yellow one is really speaking to me today! I was so excited to see this post but sad to see that one of my images from a feature I did for The Everygirl is credited to someone who has stolen the photo and not credited it properly. 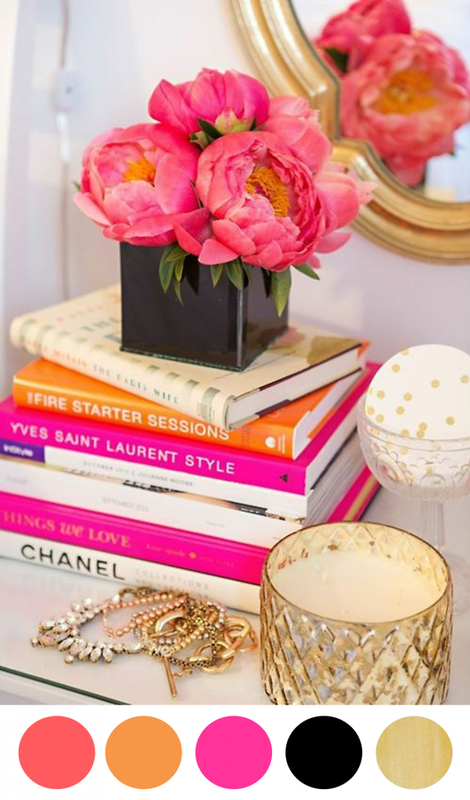 The first photo with the peonies on a stack of books should be credited as Anna With Love Photography for The Everygirl. If you could please make that change i would really appreciate that! So much inspiration! The peonies are such a versatile flower to use. I really love the one with the detailed pink print on the vintage milk jug. Brilliant article you shared with us. Are you a student based in Adelaide and continuously looking for assignment help Adelaide, don't worry come to myassignmenthelp.com and get timely solution for all your assignment in stipulated time. Students Assignment Help caters research paper writing by its research paper writers. Our professional Expert writers serve students need and provide them the best academic guidance. Students can get help from our online assignment writers at any time.